Buell Vicariously With Us As We Explore The World! In just 8 weeks we head out on our adventure! Yesterday we spent the day with Mom & Daddy. He has been getting his bike ready to go too. We checked out his new Jetboil pot and visited about our upcoming trip. Counting the weekends until we leave, we have plans for several of them (a wedding, friends visiting, a trip to see Nicki) which means we have very few days to actually finish our preparations. We are starting to feel the pressure! I am going to purchase a couple more stuff sacks. 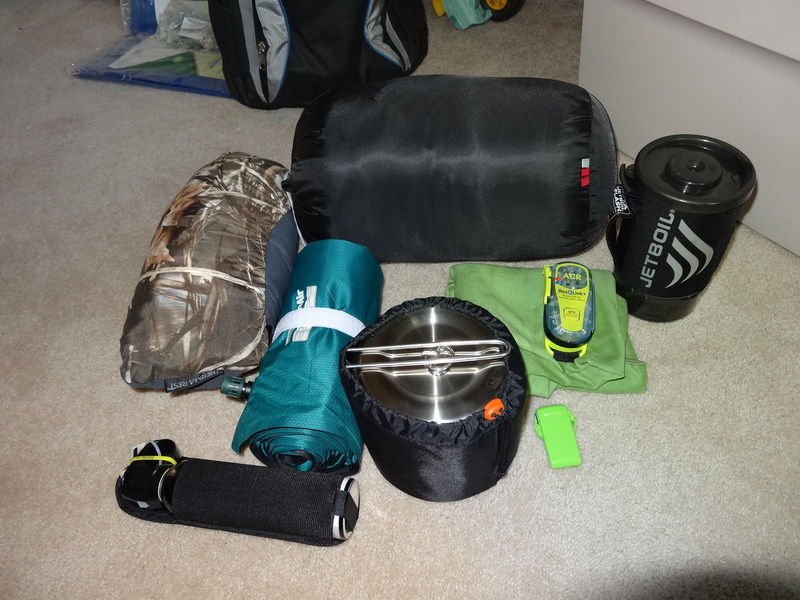 This picture shows some of the basics we’ll be packing, including the Jetboil, our new GSI pot set, sleeping bag, sleeping mat, pillow, bear mace, waterproof matches, towel, and our personal locator beacon. It’s pretty cool how small they can make a pillow & sleeping bag, yet they are relatively comfy & warm. 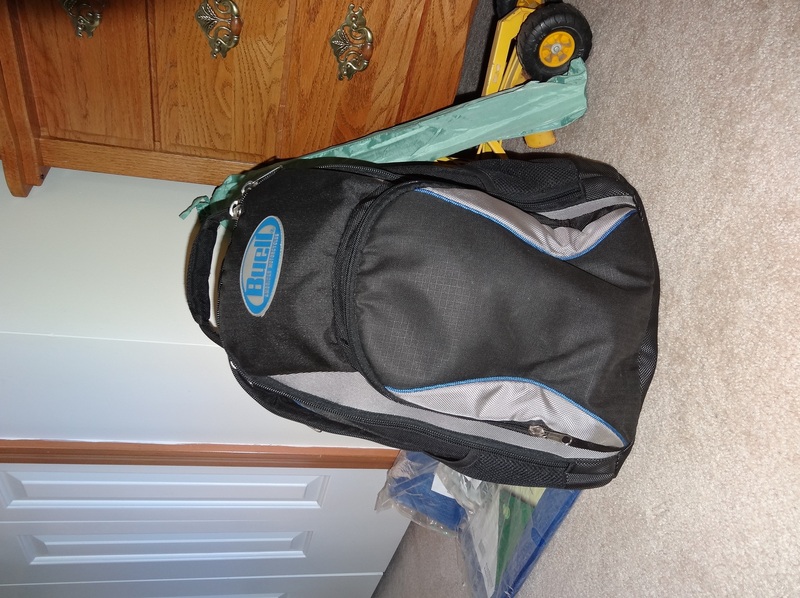 I’ll have to take a picture of my Kelty bag next to my huge old sleeping bag I got in high school! I think my first aid kit is complete once my latest shipment arrives from Mountain Rose Herbs. That is one of my favorite places to shop online! I am so excited! Right now our trip is at 9,057 miles & 185.5 hours on the bikes. We chatted with Connie & Larry last night about our adventure. Every time we tell someone about it I get more anxious to head out! It’s going to be a fabulous summer!